Dualshock 3 - The Chronicles of hXd. February 26, 2008 - For months, Metal Gear Solid fans have eagerly been looking forward to a release date of the upcoming title from Kojima Productions, Metal Gear Solid 4. Since its delay last fall, the only thing fans have known is that the game is expected to be released later this year. Earlier today at Destination PlayStation, a retailers only conference for Sony products, Sony announced that a Metal Gear Solid 4 bundle pack will be released in Q2 2008. EDITOR EDIT: That wasn't the only thing to come out of Sony's Playstation Destination event today. 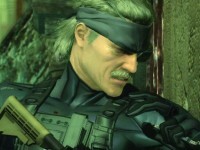 Metal Gear Solid 4 comes out June 12. One can only assume the bundle comes out on that same day too. 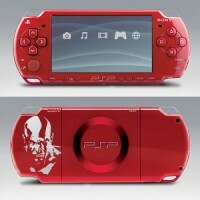 In addition, Sony announced a new God of War PSP bundle. The bundle will be $200 and will come with God of War: Chains of Olympus, Superbad on UMD video (hahahahaha, Superbad and UMD are both hilarious...for totally opposite reasons), and a free download of Syphon Filter: Combat Ops from the Playstation store. Expect it on retail shelves in June. Finally today, the much awaited vibration-enabled DualShock 3 will be hitting store shelves on April 15 for $55. More than I had hoped for, but still a good deal cheaper than importing it. So, it looks like Sony decided to save all the big announcements for this little conference instead of saying everything at GDC. Looks like the bad news of Phil Harrison leaving Sony is being balanced out.